Geometry Wars: Galaxies is a multidirectional shooter video game. 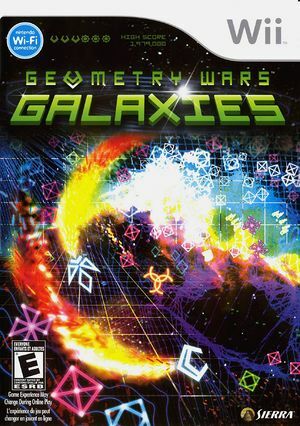 Galaxies is a sequel to Geometry Wars. This updated version includes a single-player campaign mode, several multiplayer modes, Geometry Wars: Retro Evolved, and support for online leaderboards. Dolphin lacks support for connections with a Nintendo DS or 3DS. Dolphin has no way to connect to a DS. To unlock the Lambda galaxy one must import a save file from the Wii version GW:G. The save file must have the Lambda galaxy already unlocked. The graph below charts the compatibility with Geometry Wars: Galaxies since Dolphin's 2.0 release, listing revisions only where a compatibility change occurred. This page was last edited on 14 January 2018, at 11:32.